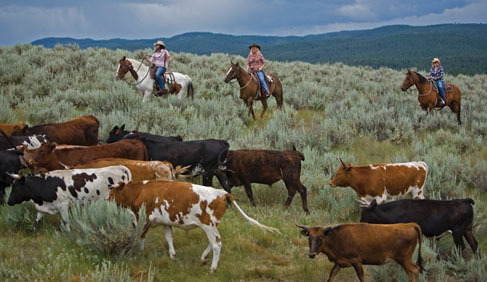 The Resort at Paws Up® is Montana’s premier luxury ranch resort. Here, you’ll live day to day, adventure to adventure. Cast a fly in sparkling waters, explore the land Lewis & Clark swooned over on horseback or lose yourself in a world-class spa. 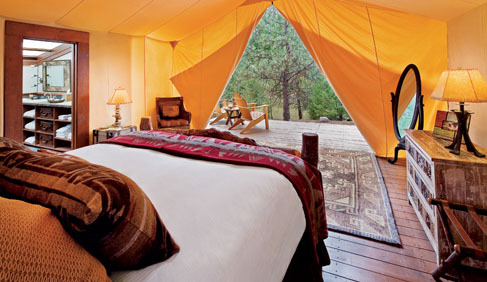 You’ll sleep on the finest sheets amidst a landscape of impeccable rustic elegance. It’s home to first-class adventure on a grand scale. 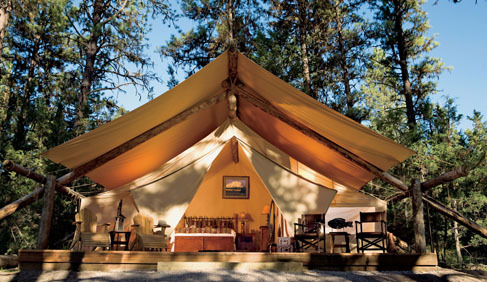 Luxury accommodation choices range from 28 private vacation homes to 36 safari-like canvas tents. This large working Montana cattle ranch is a haven for authentic Western activities like a chuck wagon dinner, trail rides and cattle drives. Or fly-fish on the legendary Blackfoot River, rappel down the iconic Lookout Rock, go whitewater rafting or ride an ATV and let the young ones enjoy the Kids Corps of Discovery. 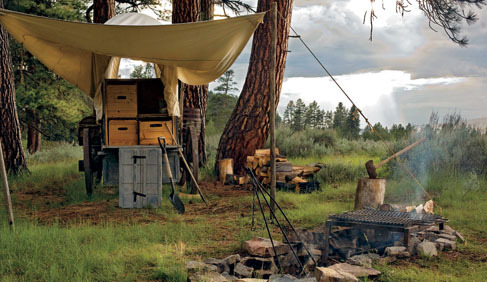 After a long winter filled with work and school, get a much-needed breath of fresh air with a trip to Montana. 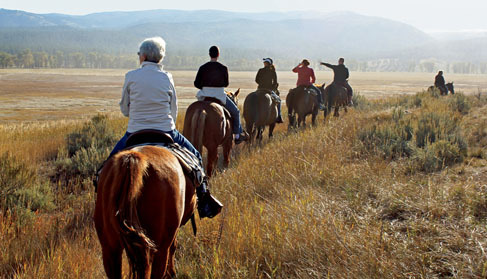 Grab your family and head to The Resort at Paws Up for a thrilling spring break getaway unlike any other. You’ll embark on breathtaking adventures, dine on gourmet meals and kick back in your spacious luxury home—and it’s all right on property. You may never plan a beach vacation again. Here, no two days are the same: there’s just too much to choose from. 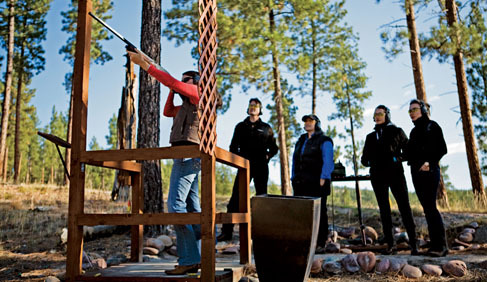 Zoom around on ATVs, go for a picturesque horseback ride or take aim at sporting clays. Kids of all ages can discover a passion for outdoor skills with our popular Gettin’ Primitive workshops, while adults can channel their inner artists with a Paint ’n’ Pour session. Kids can even learn valuable kitchen skills with a special kids-only cooking class led by one of our renowned featured chefs. One thing’s for sure—springtime in Montana is bursting with possibility. A 3-night minimum stay starting at $603 USD per person per night. 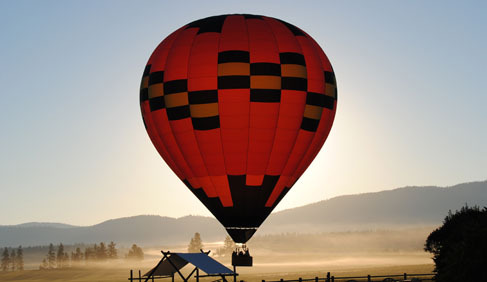 All taxes and resort fee, airport transfers from Missoula International Airport and on-property transportation. Learn more. 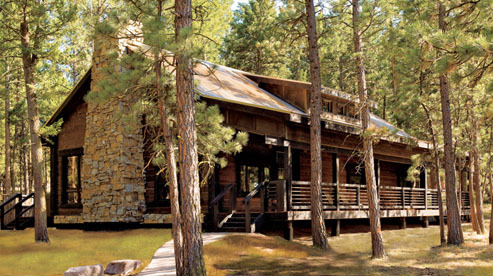 Learn more by visiting The Resort at Paws Up website, emailing The Resort at Paws Up or calling 877-959-3791. Luxury accommodation choices range from 28 private vacation homes and 36 safari-style canvas tents. There are many options for girl getaways, a family vacation or reunion or a Montana honeymoon or romantic jaunt for couples. 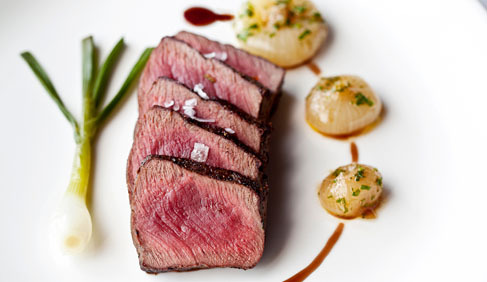 Foodies will find refined ranch cuisine and world class wines on an authentic working cattle ranch. Paws Up boasts two restaurants, the casual Trough and the fine-dining Pomp, recognized by Wine Spectator in its 100 Best Wine Restaurants in the U.S. feature. 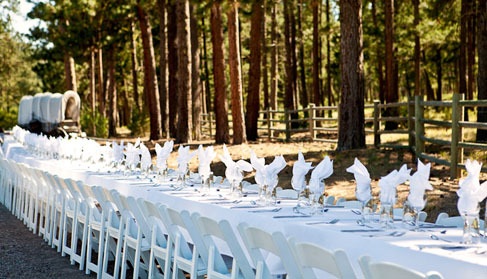 Guests may also enjoy lavish outdoor barbecues and signature culinary events, including BBQ-U, Montana Master Grillers and Montana Master Chefs. 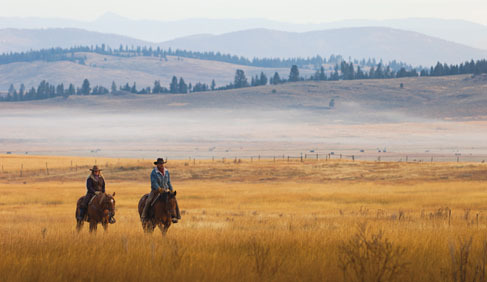 Saddle up for a Montana horseback riding adventure, try your hand at the world-class sporting clays course, experience Montana fly-fishing with an expert guide or ride through the countryside on an ATV tour. And, if that doesn’t satisfy your appetite, there’s also paintball, rafting, rappelling, hiking, mountain biking and lake excursions at the new Island Lodge. 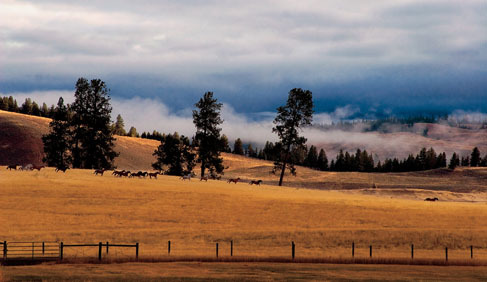 The Resort is also home to the Saddle Club, the largest private equestrian center in Montana, featuring a 29,000-square-foot riding arena and access to miles of outdoor trails. Paws Up also hosts the annual equestrian-centered events Cowboy Experience and the Cowgirl Spring Roundup. 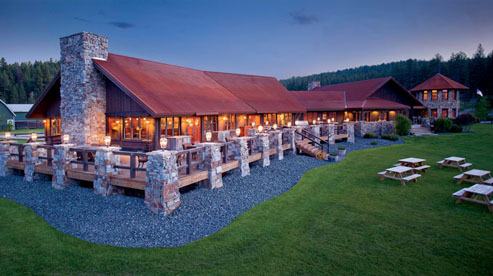 Yellowstone and Glacier National Parks are within driving distance of this Montana luxury ranch. Travel Agents Accepted. This ranch works with travel agents!